There may not be any successful mobile eSports games yet but that doesn’t mean plenty of developers aren’t working harder than ever towards the goal. In particular, one group has taken its starting inspiration from Valve’s veteran team-based shooter Counter-Strike: Global Offensive, with the likes of Finland’s Critical Ops now boasting over 20 million downloads. But a vibrant eSport is more than downloads, with regular online and offline events, and revenues also required for long-term success. And this trajectory is exactly what London-based startup Bravocompany (which consist of industry veterans who have worked on games such as Pro Evolution Soccer, World of Tanks Blitz and Battlefield) is looking to build with its 5v5 squad-based contemporary military shooter Forces of Freedom. Currently available on Google Play as part of the Early Access program, CEO Florian Stronk (ex-Konami) says the game’s almost two million organic downloads go a long way to validating Bravocompany’s slow and steady approach. “We’ve been very surprised at the game’s velocity,” he confesses, of the English-language-only release that’s already built up strong followings in countries such as Brazil and Thailand. Building on this engaged player base - something Stronk labels “our co-development community” - will be Bravocompany’s main concern over the coming months. Backed by investments from early stage investors Initial Capital (Supercell, Traplight) and Creandum (Small Giant, Resolution Games), its plan is to continue the current two week update live ops cycle until early 2018 when the iOS release will planned. Everyone is busy, even kids. As an aside, this means the game doesn’t contain any monetisation but Stronk says a store is secondary to making the game sing. It’s not the first - or last - time he uses League of Legends as an example. 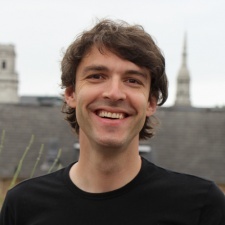 Dangerous perhaps given eight years on Riot’s MOBA remains one of the most popular and financially successful eSports games, but it’s also true its monetisation model was - and still is - considered rather lightweight. Perhaps more significant, Stronk says that, like League of Legends, Forces of Freedom won’t be “for everyone”. “The game is hard to play,” he says. 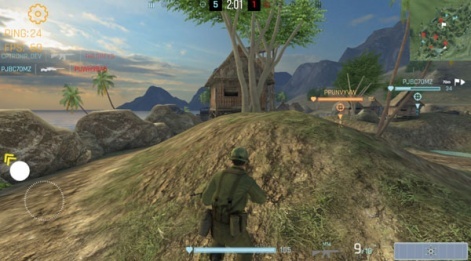 For example, the controls include multiple virtual buttons, the sniper versus rifleman gameplay encourages cautious pacing, especially as there’s no respawning during a session. “It’s not for everyone, but neither was League of Legends when it first started,” Stronk adds. Equally, Stronk is well aware that to-date mobile eSport games have failed to successfully create a strong identity, especially in contrast to the more complex PC/console eSports titles. It’s something he’s committed to changing. “PC/console games have defined eSports to this point. We have to take the next step,” he argues. 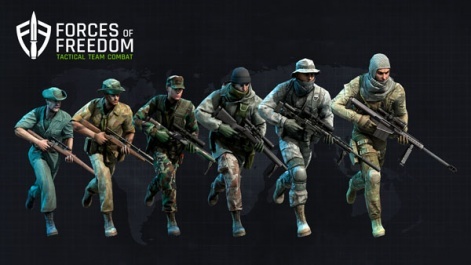 In comparison to Counter-Strike: Global Offensive, a key element for Forces of Freedom - which is described as Blitz meets SOCOM - is accessibility and session length. “Everyone is busy, even kids,” Stronk says. “No one has long form focus when it comes to entertainment, so Forces of Freedom is about playing for three minutes. It’s a new type of coffee-break eSport game; it’s your portable mancave. It’s a new type of coffee-break eSport game; it’s your portable mancave. At this stage, however, Forces of Freedom remains a work-in-process. Perhaps the most important element still to be demonstrated in terms of its eSports potential is how it will engage spectators. 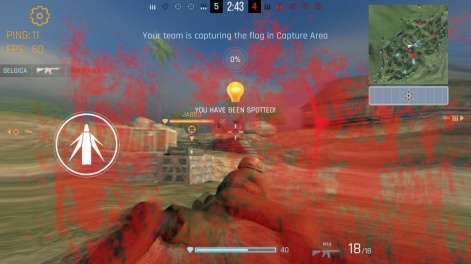 In this manner, Bravocompany is working on a spectator layer that will provide both “ultra-casual” ways of interaction - as simple as cheering - to more tactical options, such as dropping smoke grenades to give players a tactical advantage. The result, Stronk hopes, will be a technology foundation that will enable the company to operate a series of products, branching out from the contemporary military sector to perhaps even sports. “We hope to develop the platform that will eventually power an entire interactive eSports market,” Stronk concludes. Awesome game. Awesome Developers. I have spent so many sleepless nights playing Forces of Freedom. Every game in FoF has something new to learn from it. Looking forward for few new updates. This game has an incredible amount of promise! The core community around the game now only have access to 2 countries with a Rifleman or Sniper for each, both are set to the 1960's era and we only have two maps... and still all of us play every day. That is how good the game is at it's early stages of development. I have said over and over, when this game is finished it's going to change mobile shooters and how players look at them.